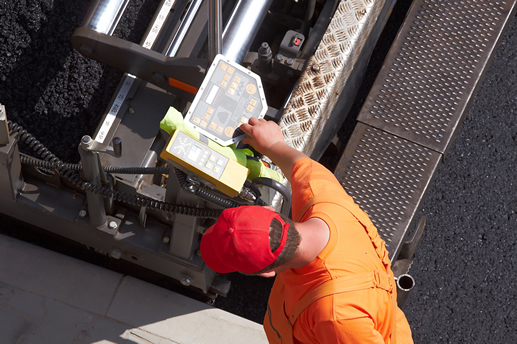 Lower Rates on Workers' Comp and Less Headaches with Payroll Services through Our Employee Leasing Asphalt Programs. With a PEOs master work comp policy, your asphalt business can immediately gain access to discounts of up to 40% off the standard market. Plus, many offer no-money-down, pay-as-you-go options with no annual audits and safety incentives. Plus, outsourcing payroll for less than you can do on your own, gives you more time to focus on sales, service and growth! Just a few of the beneficial services include customized reports, management of employee garnishments, quarterly and year-end tax reporting and W2's. Even better, you'll gain access to big company employee benefits like group healthcare, 401k, dental and vision plans at reduced rates. How Long Have PEOs Been Around? The history starts in the 1970's when originally and still known today as "employee leasing." A simple concept that would bundle the administrative burdens associated with payroll, HR, employee benefits and workers' compensation insurance - Professional Employer Organizations (PEOs) have been around for over 40 years now. The 1990's served as a pivotal growth period for the industry, as more employers discovered the value in outsourcing the non income producing administrative work that comes with employment. Sometimes confused with "staffing", the industry association presented a new name for these service providers in PEO. What Are The Costs of A PEO Service? On average, a PEO charges between 2% - 4% of annual payroll for complete payroll, HR, benefits and risk management services throughout the year. Many of these HR outsourcing providers also propose costs on a per employee count, or "per check fee." Initial costs to start range from no money down, to well over a thousand dollars based on the PEO company. How Many PEO Are There? As of 2018, there were well over 800 PEO providers throughout the US and more serving over 50 different countries around the world. Which PEOs Service The Asphalt Industry? Based on the risks associated in the asphalt business, not a lot of employee leasing companies provide services to the industry. Each PEO is different in their service offerings, workers' compensation carrier(s) and risk tolerance. While some specialize in higher risks, such as construction and trades - others prefer less volatile industries offering human resource guidance and highly rated employee benefit plans. As the nation's leading PEO brokerage company since 2001, use our industry knowledge to deliver the best solution for you. We've done the research, vetting and know the industry. You'll get answers that make sense - because it has to for success to happen. Give us a call, we're here to help.